OPTRON offers a full line of Geospatial products with many of your favorite brands that you know with full support to every product. Trimble products are used in over 100 countries around the world. Employees in more than 21 countries, coupled with a highly capable network of dealers and distribution partners serve and support our customers. For over 30 years, Trimble has created unique positioning products that help customers grow their business. Our portfolio includes over 900 patents and serves as the basis for the broadest positioning offerings in the industry. Trimble augments its organic product development with strategic acquisitions to bring the latest positioning technologies to a wider market. Nikon has long been known in the survey industry for producing high accuracy, easy-to-use, all-weather instruments for a wide variety of survey applications – committed to the continuously development of advanced instruments to meet the needs of surveying professionals. 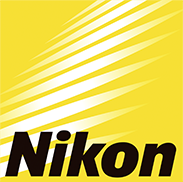 In 2003, Nikon-Trimble Co. Ltd. was formed as a joint venture between Nikon Corporation and Trimble Navigation Ltd. To address the global surveying and construction instruments market. Designed to meet the needs of surveyors around the world, Nikon delivers maximum precision, reliability and affordability. 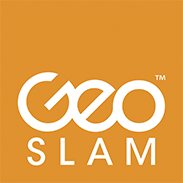 GeoSLAM are the experts in 3D mobile mapping. Our unique “go-anywhere” technology is adaptable to all environments especially spaces that are indoor, underground or difficult to access, providing accurate 3D mapping without the need for GPS. We design and manufacture 3D geospatial technology solutions that deliver rapid results and save customers time and money. With our handheld, lightweight and easy to use scanners, customers can build a highly accurate 3D model of any environment within minutes. Our robust solutions are underpinned by award-winning software that captures and models complex 3D data up to 10 times faster – anywhere. Microdrones provides a full line of complete UAV solutions for commercial applications like surveying, mapping, inspection, construction, and precision agriculture. Our drones boast the longest flight times on the market, intense resistance to environmental challenges like weather and interference, superb reliability, and much more. Manufactured in Germany. Sensors integrated in Canada. Sales, training, and support worldwide. GPR technology was first developed by ERA Technology of Leatherhead, Surrey, England, in the 1980s to locate plastic landmines as part of a British Ministry of Defense contract. It helped reduce the risk of locating these dangerous, time-delayed bombs through rubble and in the ground. After performing admirably, commercial versions of the technology were developed in 1990, incorporating improvements that made it more user-friendly to the private sector and accessible to the masses.